"Not only do I devour the issue when it arrives, I keep copies as reference materials. Each issue is full of great best practices ideas, innovative thinking, and valuable lessons for the PR professional. Public Relations is a dynamic field, and PR News does the best job of making sure I’m prepared to meet the evolving expectations of my senior leaders." PR News, now in its 70th year— is the must-read publication for communications professionals. 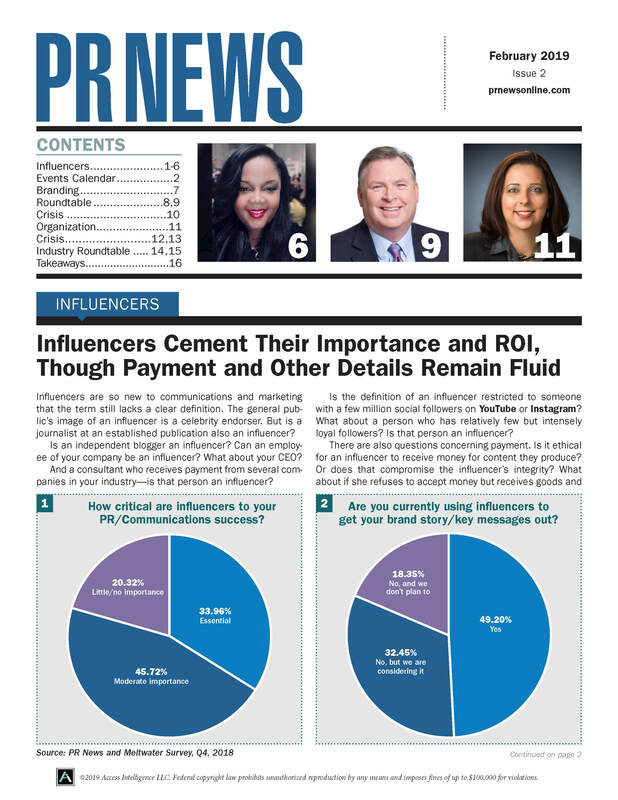 Each week, PR News will provide you and your team with the ideas, strategies, statistics and tools to maximize your organization’s communications efforts. PR News is your blueprint to become an even more effective and successful communicator. What you will find are deeply-researched how-to articles that cater to high-level strategic thinkers like you. Subscribers also receive access to the subscriber-only section of www.prnewsonline.com. The archive section allows you to search current and past issues of PR News, including case studies, media hot sheets, news briefs and articles. All the information you need from 1996-present is right at your fingertips.